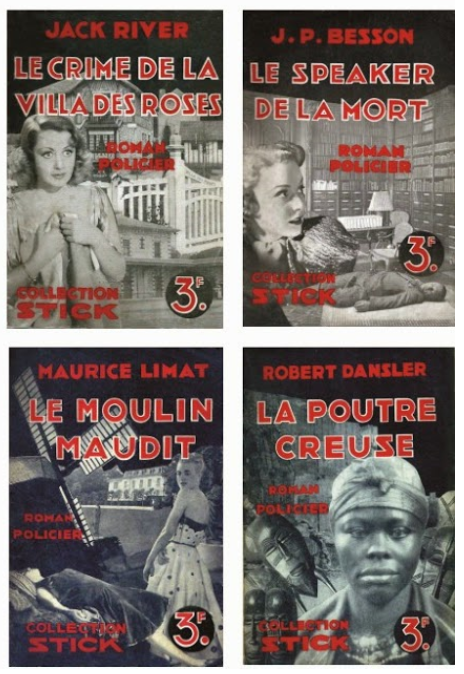 Stick is a series of Crime Fiction booklets published in France during WWII. 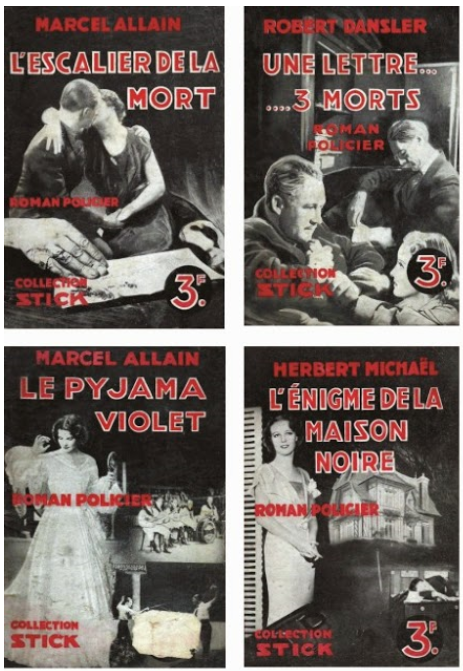 It was published by Agence Parisienne de Distribution, under the aegis of the Ventillard group, an influential name in the history of French noir. 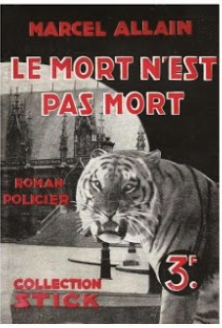 Published from December 1940 until 1942, these “grands romans policiers inédits” consisted in fact of 32 pages booklets. But they had an unusual in-4, 17×24 cm size. The war and paper shortage put an end to the series after only twenty titles. Among them are several titles by Marcel Allain (1885-1969), creator of Fantômas, as well as by award-winning popular author Maurice Limat (1914-2002) and by famous illustrator Robert Dansler (1900-1972). Other authors such as Jean Stelli (1894-1975), Jean-Pierre Besson or Herbert Michaël, aka Michel Herbert are less well known. They also include Charles Ronze, and Marie-Louise Beucké.